Lithium Polymer Batteries, usually short for LiPo Batteries, are widely used in a myriad of applications in different fields. In the world of electronics, LiPo batteries are extremely popular and useful owing to their impressive efficiency, stability and safety. This kind of newly-developed batteries can be used to power a great variety of devices, mostly for cell phone, laptop, remote controlled toys and so forth. LiPo batteries can also be typically found in the application of quadcopter batteries, namely drone batteries. 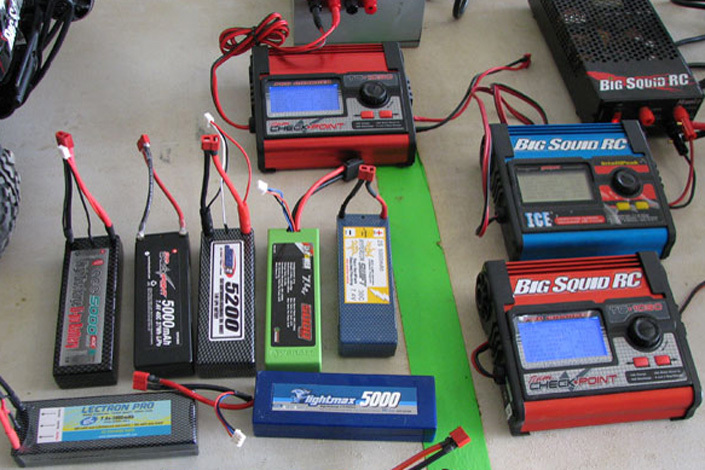 Similar to Lithium-ion batteries, LiPo batteries have a nominal voltage of 3.6 volts. Most Lithium polymer batteries are designed to be very thin rectangle shapes with two tabs on the top. In contrast with Ni-MH batteries and NiCad batteries, LiPo batteries are obviously lighter with better performance to power some RC devices, like drones. Why is LiPo Battery Safer? Just as with other lithium-ion cells, LiPos work on the principle of intercalation and de-intercalation of lithium ions from a positive electrode material and a negative electrode material, with the liquid electrolyte providing a conductive medium. To prevent the electrodes from touching each other directly, a microporous separator is in between which allows only the ions and not the electrode particles to migrate from one side to the other. With the improved contruction of battery cells, LiPo batteries can be safely used for devices that demand a battery to run for a long time. Let’s see a few examples of how LiPo batteries are used in specific applications. These 2-pack Powerextra batteries for Phantom 4 Series feature upgraded capacity 5350mAh. The battery is able to provide 18-28 minutes’ flying time when it’s fully charged. The intelligent flight batteries are perfectly compatible with DJI Phantom 4, Phantom 4 Pro, Phantom 4 Pro Plus, Phantom 4 Advanced, Phantom 4 Pro/Pro+ Obsidian Edition and Original Phantom 4 battery charger. Thanks to RoHS and CE certificates together with upgraded capacity and compatibility, these batteries have long lasting power for a long duration of flight and safe recharging by built-in protection. This LiPo battery is chunky and solid. 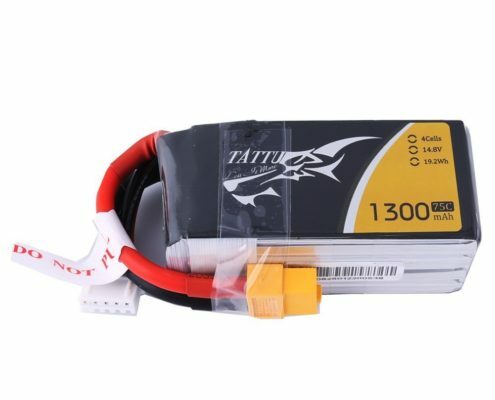 The well-made battery has long cycle life, with 150 times recharge cyles at minimum, up to 200Wh/kg energy density.Tattu 1300mAh 4S lipo battery is designed for 180mm-250mm FPV quadcopters. It’s widely compatibel with Nemesis 240 Mini, Skylark M4-FPV250, Mini Shredder 200, INDY250 PLUS, HOVERSHIP MHQ2(270), ZMR 250, Emax Nighthawk 250, Mini H, QAV250, QAV180/210, Danaus, Vortex 285, FLIP FPV FRAME, MOJO 280, drone and FPV etc. 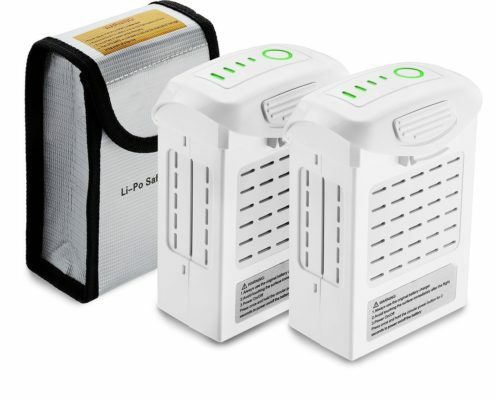 These 2-pack LiPO batteries are rugged in construction, keeping the inner electrolyte securely in place. These batteries are professional LiPo battery packs for RC devices. 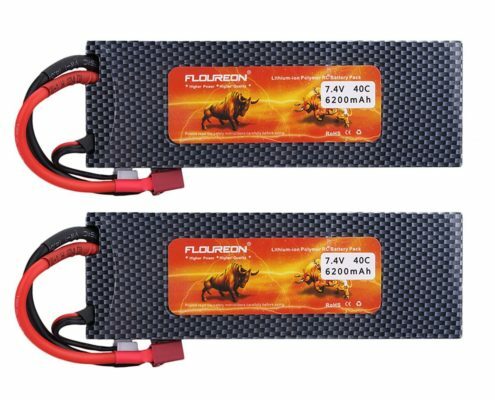 With up to 200Wh/Kg energy density and 6200mAh high capacity, batteries are extremely powerful to keep RC airplane, RC truck and other RC devices running for a long time. Speaking of its compatibility, you can use these batteries for a good many models, such as 1/8 & 1/10 RC car model such as Traxxas Slash, Slash 4×4, Emaxx, Bandit, Rustler version, Stampede, Stampede 4×4, E-Maxx, Monster Jam Replicas, HPI Strada XB 1/10 RTR Electric Buggy, Kyosho GP 4WD Racing Truck.